The European Association for Cardio-Thoracic Surgery was founded in 1986 as a European organisation devoted to the practice of cardio-thoracic surgery. Membership has now spread all over the world with 4000 active members including surgeons, perfusionists and allied health professionals. The mission of the Association is to advance education in the field of cardiac, thoracic and vascular interventions; and promote research into cardiovascular and thoracic physiology, pathology and therapy, with the aim to correlate and disseminate the results for the public benefit. 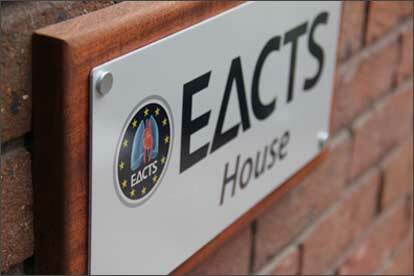 Launched in 2012, the EACTS Academy offers a high quality educational programme to suit a range of levels, from trainee through to experienced surgeons. We offer a comprehensive programme of courses. The EACTS Annual Meeting is the largest cardio-thoracic meeting in the world focusing on scientific developments and research in the following specialities: Acquired Cardiac Disease, Congenital Heart Disease, Vascular Disease and Thoracic Disease. Now in its 32nd year, the 2018 Annual Meeting will be in Milan. The EACTS has three journals for the publication of high quality research; European Journal of Cardio-Thoracic Surgery (EJCTS), Interactive CardioVascular and Thoracic Surgery (ICVTS), and Multimedia Manual of Cardio-Thoracic Surgery (MMCTS). The Quality Improvement Programme was launched in 2012 to facilitate continuing improvement of clinical outcomes in adult cardiothoracic surgery through improving education, and various research initiatives. The Quality Improvement Programme also operates two international benchmarking databases for adult cardiac surgery and for patients with mechanical circulatory support systems.